Exterior door frames generally consist of 13/8 in. (35 mm) thick side and head jambs and a 1 3/4 in. (44 mm) sill. While a hardwood sill is more durable, a sill made of softwood with metal threshold may also be used. Frames are rabbetted to form stops for the main door. Stops for a screen or combination door are provided by the edge of the jamb and the exterior trim. The door sill should bear solidly on the floor framing (Fig. 95), and the frame should be well nailed to the opening framework. This is usually done by adjusting the frame with wedges and then nailing through the trim and wedges into the studs. Exterior doors should be weatherstripped at the top, bottom and sides. For improved resistance to forced entry, the jamb of the door frame at the lock height should be shimmed on both sides immediately above and below the lock location. In addition, blocking should join the studs of the door opening with the adjacent studs. wide and 6 ft. 6 in. (1.98 m) high. Wood storm doors should be 1 3/8 in. (35 mm) thick and metal doors at least 1 in. (25 mm) thick. Additional screws in the drywall around the door frame will also provide greater strength to resist forced entry. Exterior doors are generally either the flush or panel type. 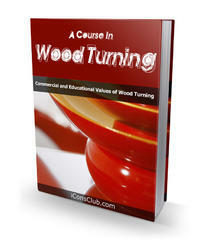 For methods of hanging doors and installing hardware, see the chapter on Interior Doors, Frames and Trim. 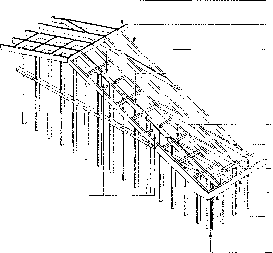 Section through door frame at sill. 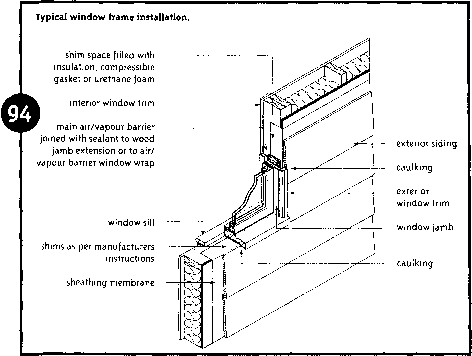 3/i," (¡9 mm) board caulking concrete stoop w this method of construction minimizes warping from differences in humidity or temperature on opposite sides of the door. Glazed panels may be inserted into solid-core doors. 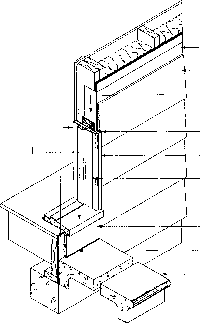 Panel doors consist of stiles (solid vertical members), rails (solid cross members), and panels (thinner parts filling the spaces between stile sand rails). Many types containing various wood or glass panels are available. Metal or wood-faced doors whose cores are filled with rigid insulation are becoming more common. They should be used whenever a separate storm door is not provided. Sliding doors, either fully or partially glazed, are sometimes used for access to patios or garden areas. All glazed areas in doors should be double-glazed safety glass. Trans parent glass in doors and sidelights, which could be mistaken for unobstructed passageways, should be safety glass, such as tempered or wired glass. House doors that lead to garages should provide a gas-tight barrier to prevent automobile exhaust fumes from entering the home. These doors should be tight-fitting, weather-stripped, and provided with a self-closing device.